Reservations for court time may be made at the Visitor Center from 9am-5pm on Saturday or Sunday until Memorial Day weekend then 7 days a week after the holiday. We have (6) great courts to practice your game or have some fun with friends! 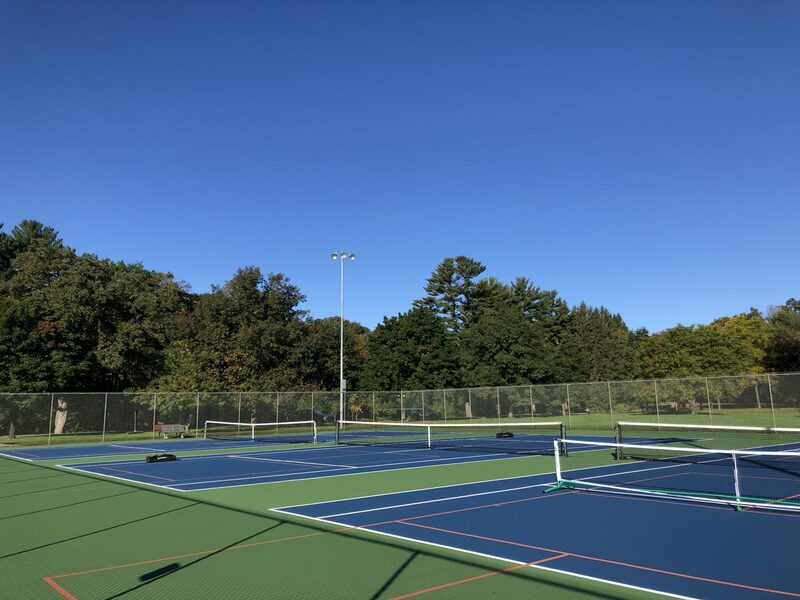 Additionally we have (6) Pickleball Courts spread across (3) of our tennis courts! Court rates are $10 per hour.